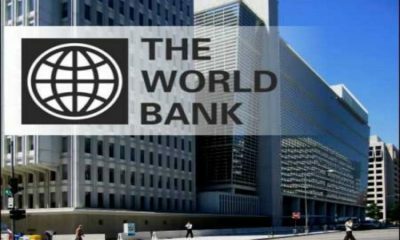 The World Bank today approved a $50 million International Development Association (IDA)* credit to increase scale innovation and productivity amongst Kenya’s enterprises. The Kenya Industry and Entrepreneurship project (KIEP) is expected to benefit some 33,050 individuals and 2,393 firms. It will support the ambitious development targets outlined in Kenya’s Big Four development agenda and Vision 2030 that require significant growth in private sector jobs and overall productivity. The Ministry of Industry, Trade and Cooperatives, through the Kenya Industrial Transformation Program, prioritizes technology and innovation as the cornerstone for national industry development and the role that private sector firms play in driving Kenya’s industrialization. Currently, Kenya lacks the adequate skills that can produce a solid pool of internationally competitive, technology enabled businesses. SMEs, which are key drivers of the economy, face difficulties in improving their productivity due to poor managerial practices and information failures around how to upgrade. The country also has limited contact between traditional industry and technology enabled startups; a missed opportunity for both sides. Kenya’s other challenge includes limited connections to networks of international mentors, angel investors, and venture capitalists all of which make it difficult for local startups and SMEs to grow and compete internationally. For Kenyan women entrepreneurs, particularly those who own startups and SMEs; all these challenges are even more pronounced. The World Bank’s International Development Association (IDA), established in 1960, helps the world’s poorest countries by providing grants and low to zero-interest loans for projects and programs that boost economic growth, reduce poverty, and improve poor people’s lives. IDA is one of the largest sources of assistance for the world’s 75 poorest countries, 39 of which are in Africa. Resources from IDA bring positive change to the 1.5 billion people who live in IDA countries. Since 1960, IDA has supported development work in 113 countries. Annual commitments have averaged about $18 billion over the last three years, with about 54 percent going to Africa.